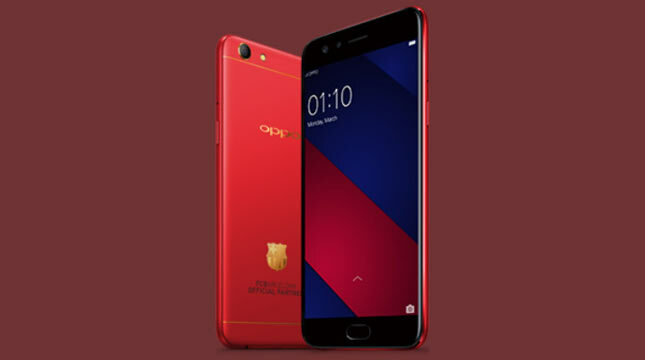 INDUSTRY.co.id - Jakarta - OPPO Indonesia has confirmed the presence of a special edition device, OPPO F3 FCB Limited Edition. This device comes as a commitment OPPO appointed as an official partner of FC Barcelona smartphone in the world. "Currently we are preparing OPPO F3 FCB Limited Edition at our factory in Indonesia and in the near future, we will directly introduce this device officially," said Alinna Wenxin, Brand Manager of OPPO Indonesia last weekend. OPPO F3 FCB Limited Edition is planned to be sold in a limited time and quantity. "We will not have much of the OPPO F3 FCB Limited Edition smartphone, maybe only a few hundred units will be available," Alinna added. OPPO F3 FCB Limited Edition itself comes with a special feature of red color pride FC Barcelona. In addition, this smartphone added gold accents on the FC Barcelona logo on the back of the device. As the bearer of the Selfie Expert line series, F3 FCB Limited Edition certainly brings the advantages of dual front camera, where one camera to take selfie and one camera equipped with a wide angle of 120 ° to take the group selfie. In addition, OPPO F3 FCB Limited Edition will also be equipped with a special theme that carries the hallmark of FC Barcelona and of course very suitable for them loyal fans of this Spanish top club. Unfortunately, the price of OPPO F3 FCB Limited Edition is not yet known. But certainly, consumers can take home the exclusive bag OPPO FC Barcelona worth Rp1, 2 million dollars for free.